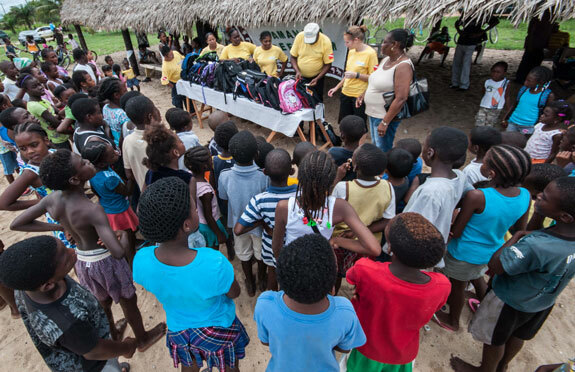 Each year, Hamanasi Adventure and Dive Resort in Hopkins, Belize is able to donate nearly 200 backpacks, full to the brim with school supplies, to children from nearby villages through the Pack for a Purpose initiative. Before guests arrive, Hamanasi informs them about the Pack for a Purpose mission, asking travelers to use a little luggage space to make a big impact on the greater Hopkins community. Throughout the year, gracious guests and benevolent friends of Hamanasi donate thousands of supplies that go to children whose parents have limited means to provide these supplies on their own. On July 20, 2014, Hamanasi held its second annual Back to School Fest, where children spent the day interacting with guest speakers, participating in activities, and playing fun games for prizes. 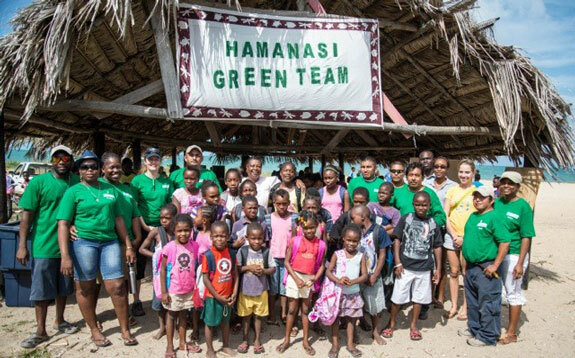 This year, Hamanasi’s Green Team was able to hand out backpacks to children from Hopkins, Sittee River, Silk Grass, and the Maya Centre. At the end of the event, children went home with smiles on their faces and backpacks loaded with supplies.